Titanium is an elegant, classic, and versatile material for cosmetic finishing that is unrivaled in possibilities. 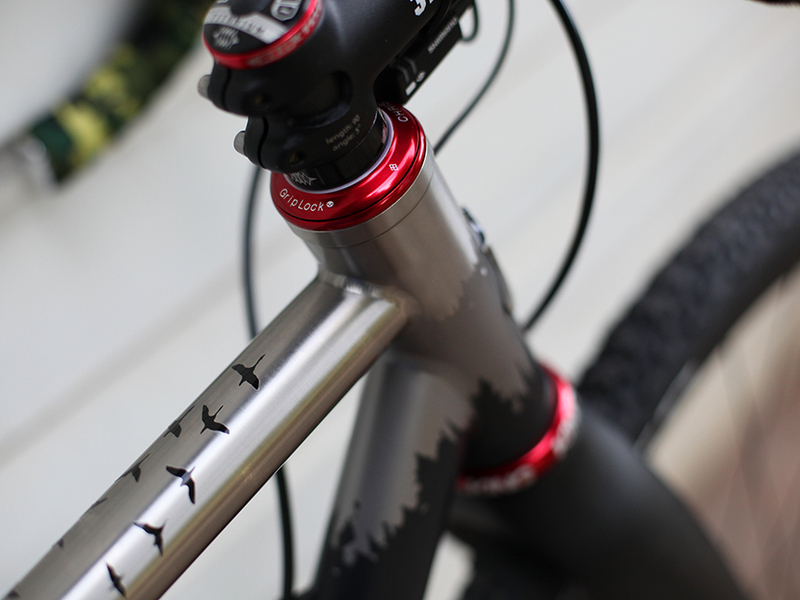 From our stock finish to our next-level custom projects, we pride ourselves on having great looking bikes. 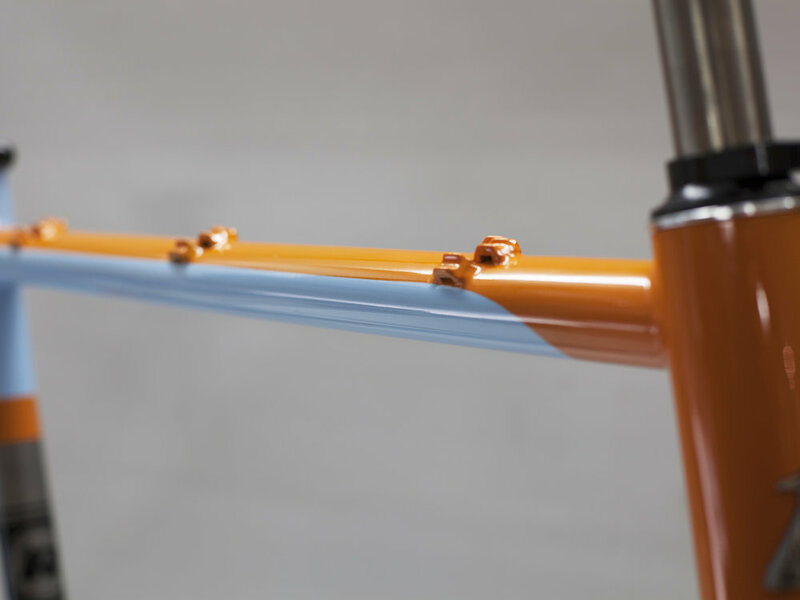 Our standard stock finish is the classic down tube panel, seat tube panel, and chainstay logo, with the model name on the top tube. Black is the default color. Other colors available upon request. The ultimate in understated refinement and sophistication. The Classic panel finish matte media etched on bright brushed titanium. It's your bike. It should look the way you want it. 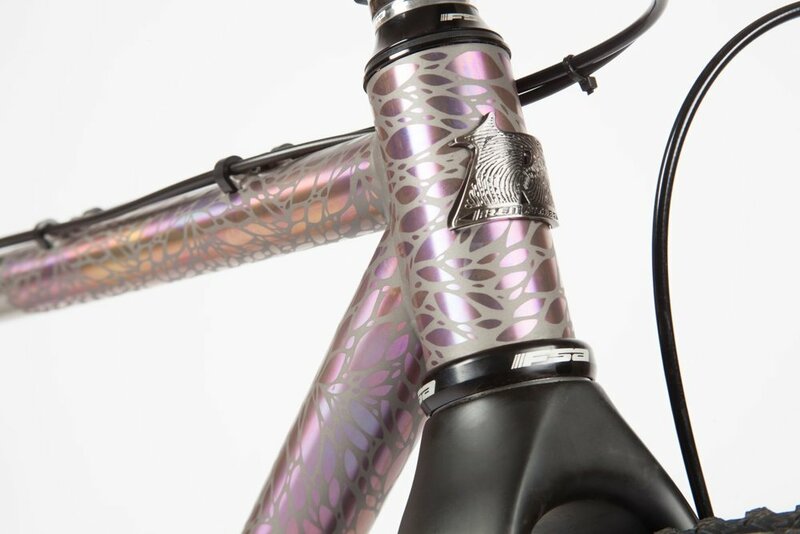 From the extreme bling of etched and anodized raw titanium to high zoot full paint. Anodized titanium finishes are achieved via an electrochemical process that manipulates the natural oxide layer on the surface of titanium materials. An electric current is used to control the oxidation; certain voltages correspond with distinct colors. Unlike the process for anodizing aluminum, where dyes and additives are applied to the metal, titanium anodizing utilizes a natural process to manipulate the organic properties of the material, yielding a range of colors, shown below, with no toxic wastewater.